Moving the neck in circles, forward and backward, and side-to-side is a simple way to stretch the muscles in our neck that tend to tighten during the day. You may not notice your neck tightening, but it can slowly happen when you are tensing your muscles while typing or driving your car. Staying in that strained position for a long period of time increases pain and can prolong the discomfort. Take the time to stretch those muscles in order to avoid future problems. Sleep is critical in healing your body. Invest in good sleep hygiene. Get a supportive pillow for your neck. Many times our head falls below the horizontal alignment with our spinal cord. Try to keep your spine straight throughout the night so your neck muscles, discs, and ligaments avoid undue stretch or strain. This seems like common sense, but you would be surprised how many people do not apply anything to their aching muscles. Cold helps reduce inflammation in the area, and heat helps facilitate blood flow to muscles and nerves. 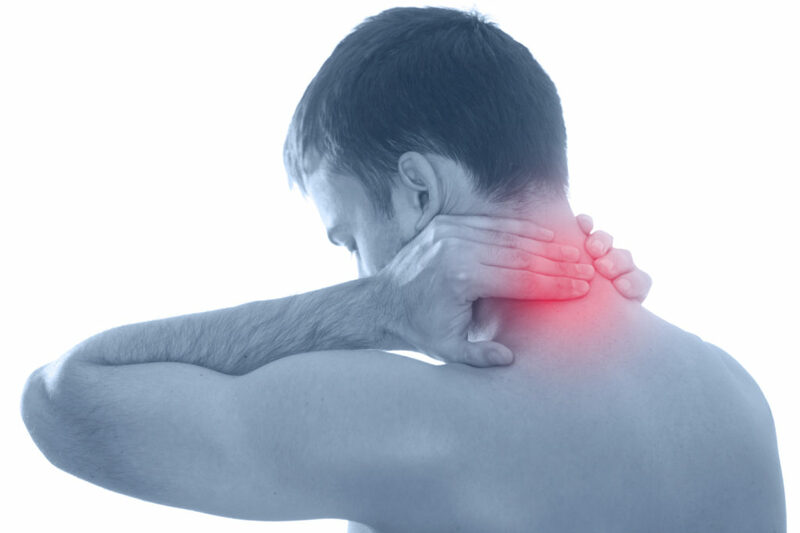 Both heat and ice can help alleviate neck stiffness and immobility depending on the source of pain. If the pain is inflammatory, using anti-inflammatory drugs can help. If you prefer to avoid medicines, then having a simple back massage or stretching may do the trick. In fact, massage therapy and acupuncture offer beneficial effects for both neck and low back pain. A psychological technique called, cognitive behavioral therapy is also effective for easing neck and low back pain.. If you’d rather try over the counter anti-inflammatory drugs (NSAIDS), consider trying ibuprofen or naproxen. Celebrex (celecoxib) is available in generic form now, but does require a prescription. There are several other NSAIDS available, so check with your doctor about which might be best for you based on your medical condition. Remember, the rule of thumb for NSAIDS is to use the lowest dose for the shortest period of time. Acetaminophen will reduce pain and control fever, but has very little anti-inflammatory properties. And, make sure the total daily dose does not exceed 4,000 mg per day. In one of my radio shows, I discuss text neck pain: pain caused by looking down at your phone for long periods of time. Be aware that your muscles and spine are not meant to be in these awkward positions that we have created for ourselves in our work environments. It’s critical to to sit up straight and look at the screen with your head in neutral position. If you work at a desk, keep your monitor at eye-level so that you do not have to strain your neck.. Being aware of how we move our bodies can really help alleviate unnecessary pain. Check out my radio show on neck pain featuring Dirty Dancing star Jennifer Grey and expert Dr. Ralph Justiz here, and my show on text neck pain with Beanie Baby creator, Ty Warner here. Posted in Blog, Neck Pain.